If you are in the “healthy living / weight training / workout” world, you probably heard already a lot of technical or specific terms, including body composition or even better – body recomposition. Body composition is a pretty important thing that will determine the way you look and it will greatly influence your health and ultimately the way you feel both physically and mentally (self esteem). Now that we agreed that body composition is important stuff, let’s see why is so important and let’s learn a little bit about it. Looking at it strictly from a fitness point of view, body composition is just a fancy term used to refer the ratio between the fat mass or muscle mass divided to total body weight. Of course, our body composition includes other stuff such as bone mass, water weight and so on, but we are not going to have an anatomy class right now. So in fitness, when we are talking about body composition we are actually referring to body fat / muscle mass / body weight ratios. If you want to read more about body composition and body fat particularly you can read this article. Below is a nice and easy to follow infographic on the topic of body fat, if you care to learn more about it. Moving on with this article’s topic, I am going to tell you a couple of things about how to determine how your body composition is changing so you can make the right adjustments to your diet and training routine. As simple as that. The only catch is that you need to be consistent with it in order to have correct readings, which will later on help you make correct observations and changes if needed. Keeping track of all 4 ‘parameters’ above is also a great motivational tool. Being able to look back and see your progress will help you stay on top of your training, diet and other aspects of your life when things might get difficult and you need a boost. Weighing yourself daily might seem like nonsense at first. After all, how much weight can you lose in a day? Very few, maybe none at all. Or maybe you will even gain weight. Body weight can fluctuate a lot day to day based on what and how much you had to eat during the previous day and based on hydration level or water retention. That is exactly why you need to measure it daily, then calculate weekly averages and then look at those averages each week. Be consistent with it each morning and write down how much you weight. You can use a spreadsheet or app instead. There are plenty options out there. Personally I have used all methods with great results. Just pick yours and start tracking your progress. 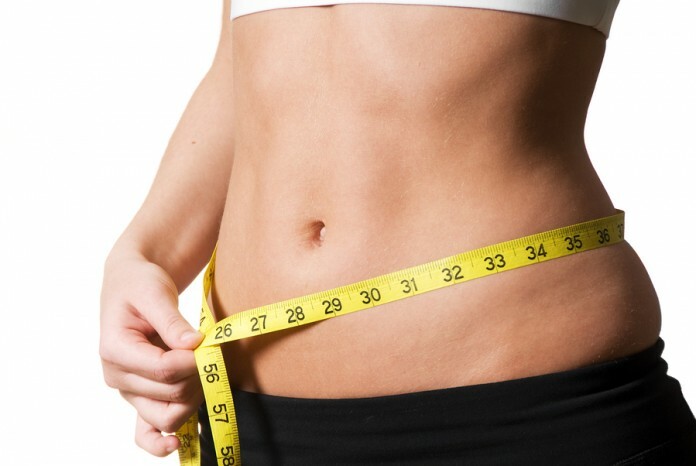 Measuring your waist size is a really good indicator of how your body fat percentage is changing. Waist size will fluctuate way more slowly than body weight. That is because most people tend to hold a lot of their body fat around the mid area. You probably notice that your belly is the last place you lose fat (stubborn belly fat) and the first place to gain fat. Most of the time waist size and body weight change in the same direction meaning that when your body weight goes down, your waist size goes down too. And when your waist size goes up, your body weight goes up too. However, in very rare situations, this might not be always the case. This is valid mostly in beginners. For example skinny fat beginners may notice a decrease in waist size while their body weight stays the same of increases. This is a great example of changing body composition – they lose fat (hence a lower waist size) while building muscle (which offsets the fat loss so the body weight stays the same or increases). Waist measurement takes a little bit of practice in order to get it right. At first you will probably get different readings each time you measure, but you will eventually get it. You can try measuring 3 times and do the average the first couple of times. I’ve talked about how important strength tracking is in a couple of previous articles and I find it to be very useful for the purpose of monitoring body composition as well. 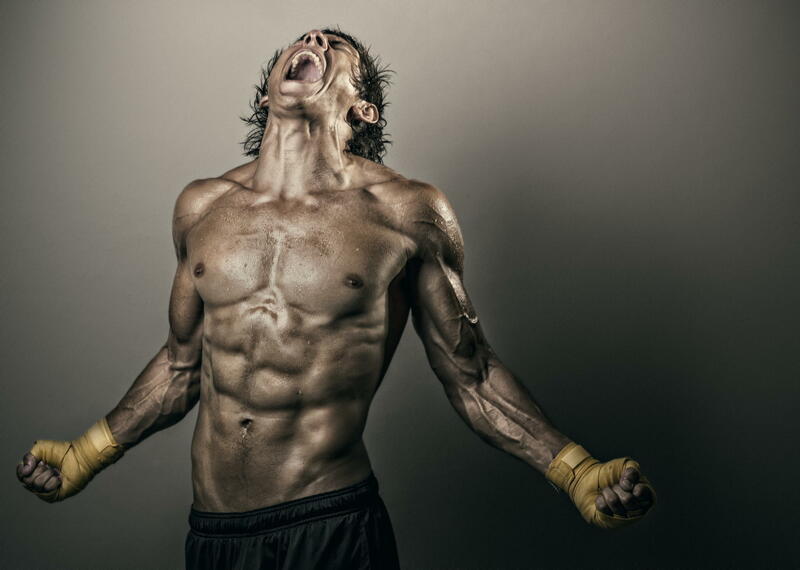 There is a direct relationship between strength and muscle mass, which in the end affects your body composition. One of the most important rules of muscle building is progressive overload which means constantly lifting heavier and heavier weights. Getting stronger means you are building more muscle and the opposite is true as well. Strength increase over time look very much like a logarithmic curve, meaning that at first you gain strength really easy and over time the increase rate continues to diminish (same as muscle building rate). Your goal should be to maintain your strength when you diet and get stronger during the rest of the time. As opposed to the previous 2 steps, seeing any change in strength take a lot more time that one day, so checking your strength levels can be done every couple of weeks if you are a beginner up to every couple of months if you are more advanced. It goes without saying that actually seeing your before and after transformation will give you an extremely accurate and visual information about how your body composition has evolved. Yet, so few people take before and after photos. Start taking them and you would be amazed of the change. Looking at the numbers will provide you with the necessary information, but actually seeing your body shots will help a lot more. Before we close this topic let’s take a couple of common examples and interpret them. This example shows a significant drop in both body fat and a small drop in muscle mass. This occurs when intermediate to advanced people start cutting. This example shows a small increase in body fat and a significant increase in muscle mass. This is the typical example of a skinny guy who just started training and is bulking. In this example, body fat drops while muscle mass increases. This could be a skinny fat guy or gal who just started training. The fat loss is offset by the muscle building in this case. Please take note that this scenario happens very rarely. Most of the times all 3 parameters (weight, waist and strength) move in the same direction – either up or down. Yet, by alternating cut and bulk sessions you can recompose your body. That being said, start tracking your progress right now and make sure you are going in the right direction towards your personal fitness goals. Looking forward to hearing from you in the comments section below.